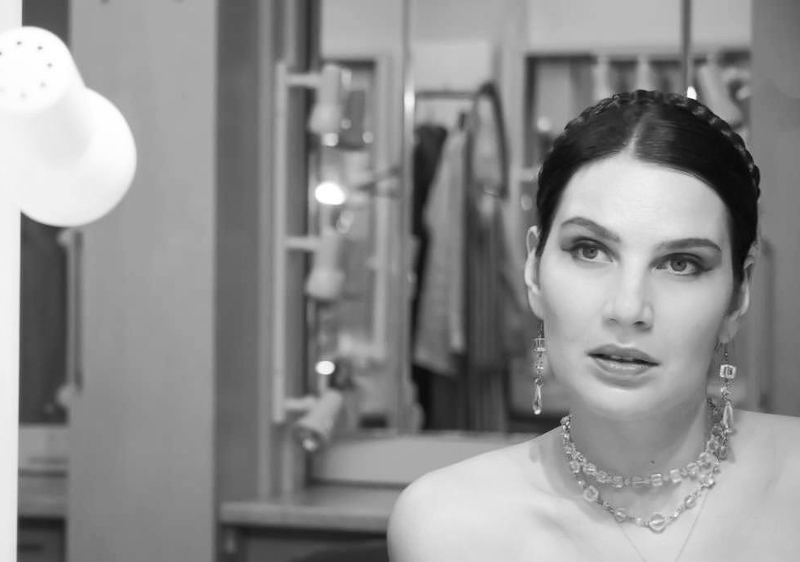 Evgenia Pirshina, a soloist at the Chicago Opera Theater, owner of the beautiful contralto, will take part in the opening of the autumn season Art Alliance. The concert will feature arias from operas, romances and duets. 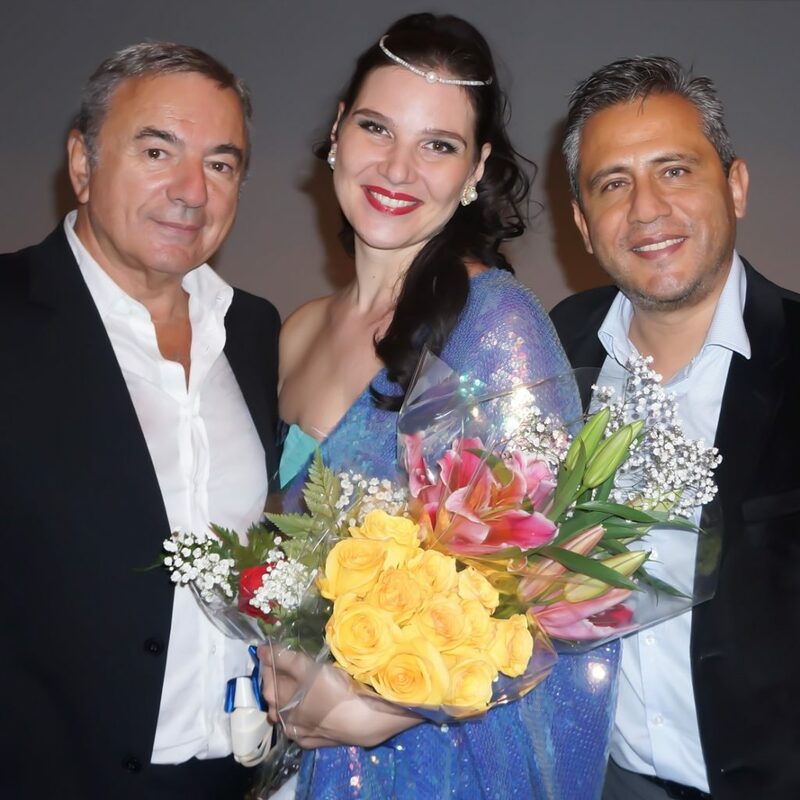 The soprano part will be performed by the soloist of the Minsk Music Theater, Tanya Dybal, and they will be accompanied by Carla Ferreira, the pianist of the Solis Theater (Montevideo). 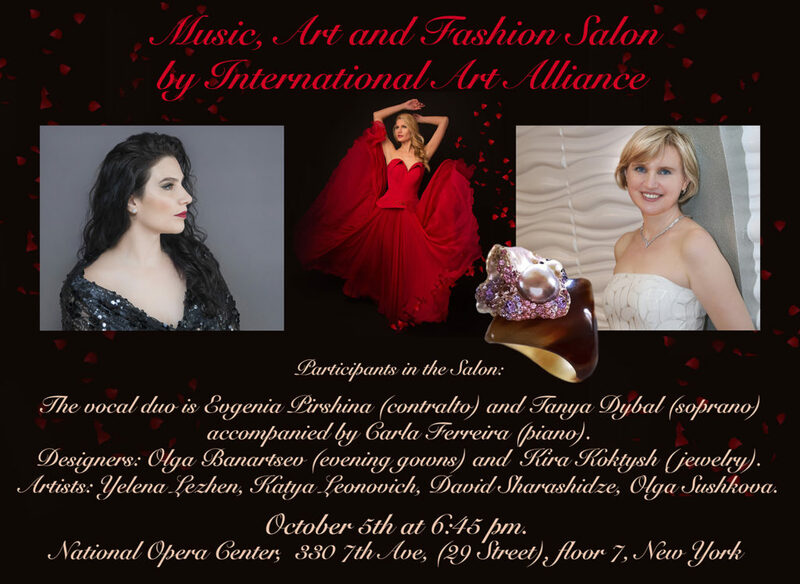 – Evgenia, how did the idea of the autumn concert in New York arise? E.P. About two years ago I met Tatyana Borodina, creator of the International Art Alliance project. Our acquaintance initially began online due to my interest in ballet and photography. You, of course, know Nina Alovert, a wonderful New York photographic artist, master of ballet photography. On the pages of her site there was a publication about the project Art Alliance and about Tatyana. At that time, I just returned from New York with what I believed to be a successful set of photos and decided to participate in the contest, which was then held as part of the project. I wrote a letter to Tatyana and I sent the photos. This began our communication. I let her know that I was interested in becoming a member of the Art Alliance. She was surprised to find out that I am also a musician and a singer with the rare voice of a contralto. In the course of our communication, a joint project began to emerge. – In which music will be the main component , right? -And when did you find a voice, and decided that you will sing? E.P. You know, children always sing. At festivals, at home celebrations, etc. There is probably a treasured stool in every family where a child sings or recites songs to their guests. But for the real answer, I decided to sing once I entered university. Initially, I studied at the piano department and seriously thought about being a pianist. However, the program of the music department of the Moscow State Pedagogical University, included singing as a compulsory subject with tests and exams. Either way, you had to study. I was very lucky with my teacher, Maria Ganeshina, she was the one who said that I have a voice, and that I should take it seriously, work on it and develop it. During the years of study at the university, teachers were inclined to the fact that I have a dramatic voice of a large range and possibilities. Over time, it became clear that my timbre becomes contralto and because large voices are formed later – this is physiology. I just now began to realize the fullness and strength of my voice and still continue to work on the technique. I met wonderful teachers and mentors. Fate gave me a chance and I entered the Stanislavsky and Nemirovich-Danchenko Musical Theater in Moscow, in which I worked from 2006 to 2015. The theater became my second home and taught me a lot! After the concert with the bass Solomon Tenser and pianist Rogelio Riojas-Nolasco. Photo from personal archive of E. Pirshina. E.P. In 2015, we left Russia and headed … to Panama. It was my husband’s choice and I followed him with my son. My husband was attracted to this country for many reasons like the professional demand associated with a rapidly developing economy, etc. The country had amazing nature and a wonderful climate. The people there are sympathetic and benevolent. -What about your career in Panama? E.P. For me, moving meant huge changes. Parting with my favorite theater, with Moscow, with successful exhibitions (by that time I was already seriously engaged in photography). It was difficult to reorganize into a completely different lifestyle. It was as if I “rebooting” in some way. It was necessary for me to understand what direction to move in. At the time, I had already declared myself as a serious photographer. That is where I participated in festivals, contests, and events in general. This meant that I had to give more of myself to photography and this required more concentration on my part. Soon, at the invitation of Diana Vishneva, I flew to Moscow for her festival “Context” as the official photographer of the festival. Evgenia Pirshina – the official photographer of the festival “Context”. Photo from personal archive of E. Pirshina. For a while, I put my singing career on pause. Moreover, in Panama there were not as many opportunities to sing. However, at one of my photo exhibitions I met the director of the Opera of Panama, Irena Sylya (USA). This was a new milestone, my second vocal life. Everything was new. Another vocal school, a teacher, and a new sense of myself. I received a contract, interesting roles, and unusual performances. In the opera, “Macbeth”, I had to perform the part of the Maid of honor. The part was for a mezzo-soprano but this was the opportunity I needed to show off what I could do. 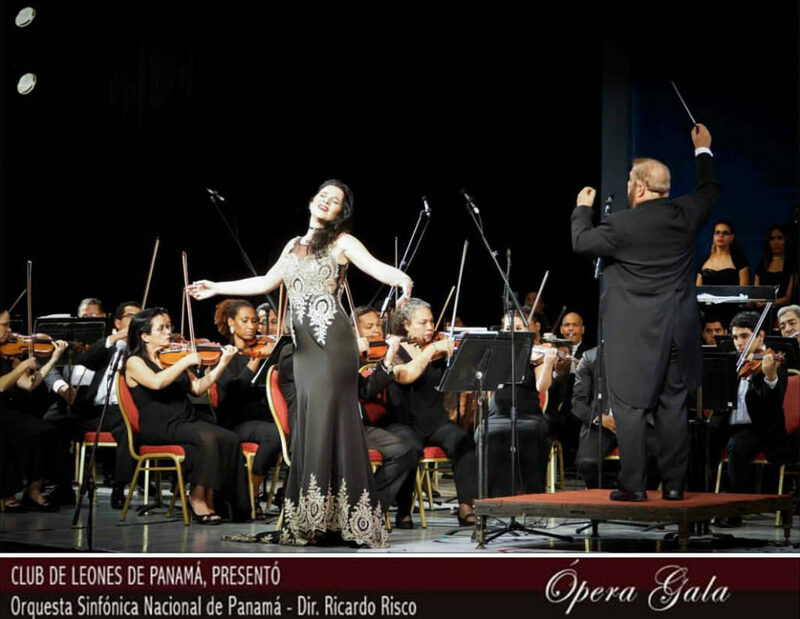 The opera was performed in the ruins of an ancient church, protected by UNESCO. The original old Panama City was destroyed by pirates in the middle of the 17th century, and the city, like the temple, was abandoned. These picturesque ruins proved to be a beautiful scenic space that could be effectively transformed with the help of light and laser technologies. Such stereophonic was achieved in one wing of the architectural ruins, where the choir was located. in the other, the orchestra unfolded the action in the center of the temple on the erected stage. The acoustics were simply amazing! – Judging by your story, it was really impressive. But the work behind it was huge both for the producers and performers. E.P. I appreciate my path in art with all its difficulties and overcoming them. I add all of my life experiences to my memory piggy bank and I look into it almost every day. – Let’s come back, Evgenia, to your nearest plans. Please tell us about the musicians with whom you will perform at the Autumn Salon “Music, Art and Fashion Salon by International Art Alliance”. E.P. I will be performing with Tanya Dybal who I have known for a little more than a year now. We met in Chicago, where I live with my family, at the house of one of a talented pianist Irina Feoktistova, where we recorded. She invited me to her house party, where creative people gathered together to make cheerful music in a friendly home atmosphere. Our duet with Tanya arose spontaneously, we sang a lot together that evening, and we were asked to sing more and more. We really enjoyed working together. Our voices, Tanya’s soprano and my contralto, meshed very well together. It was incredibly natural to sing with her, and this does not happen very often. You, as a musician, understand me well. In the concert at the National Opera Center, we will sing popular, all-time favorite arias and duets, and less well known, but in our opinion, wonderful pieces. Among the popular is the famous Barcarola from Jacques Offenbach’s opera “The Tales of Hoffmann”. I will perform this duet with Tanya Dybal. I will also sing my favorite aria from the opera of Saint-Saëns “Samson and Delilah” and the aria from “Carmen”. Tatiana will sing Juliet from the opera “Romeo and Juliet” Gounod. Of the rarely performed works, we will do a duet from the opera by Hector Berlioz “Beatrice and Benedict”. This opera is based on Shakespeare’s comedy “A lot of noise from nothing” and it is very rarely staged. The music is simply beautiful, and I want it to be performed more often. All the favorite duets of Tchaikovsky from “The Queen of Spades” and “Eugene Onegin”, to the two arias from the opera “The Snow Maiden” by Rimsky-Korsakov. Lastly, we will perform several romances by Sergei Rachmaninov, one of my all-time favorite composers. We were also very lucky with our pianist, Carla Ferreira. I met her in faraway Uruguay, in Montevideo. It turned out that we had common friends in New York! As you can see, the world can be very small at times. Carla Ferreira is the leading pianist of the Solis Theater in Montevideo. She is a terrific musician, and a pianist who is very sensitive to interpretations, to singers, which is rare among concertmasters. She is always very attentive and it is a great pleasure to work with her. I am happy with how everything turned out. There is a wonderful commonwealth, the Art Alliance. 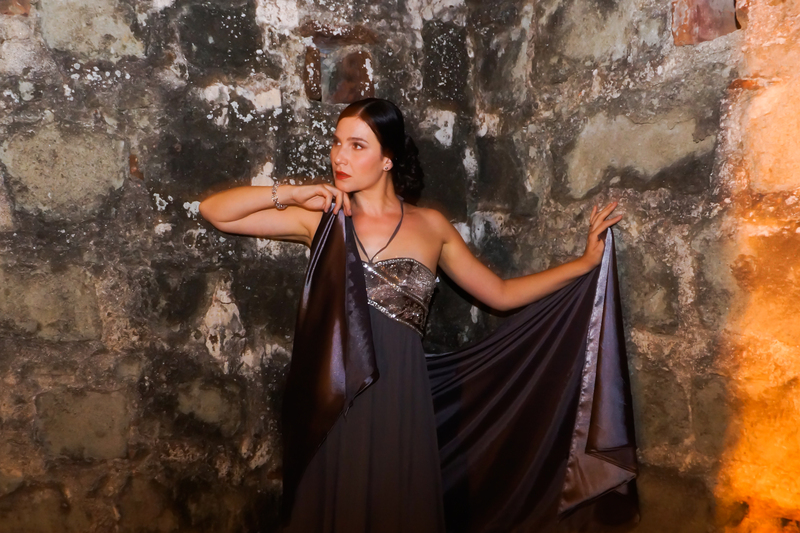 There is also a wonderful singer, Tanya Dybal, our pianist Carla Ferreira, and we have talented artists and designers. All of these great artists will help us make the show the best it can be! Because for the singer it is very, very important how one looks on the stage! We, singers should be comfortable on stage, look beautiful, and everything should emphasize our personalities. Qatar, 2011. 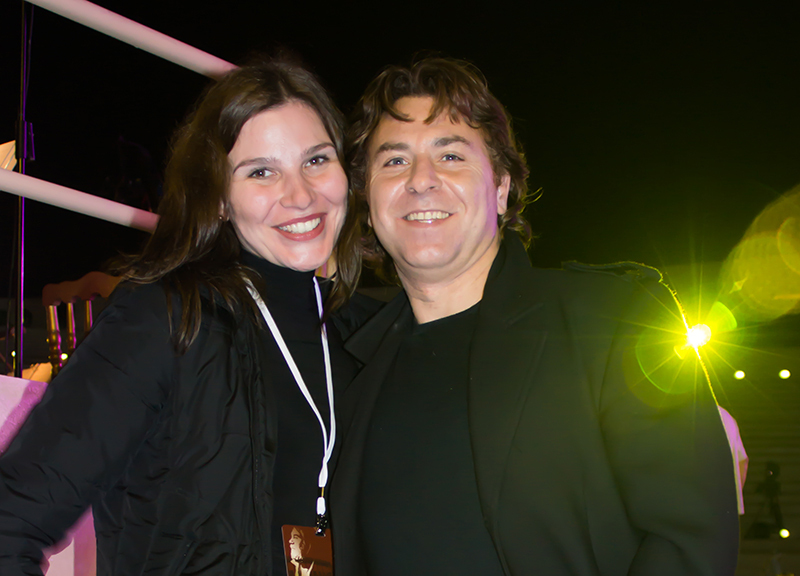 With Roberto Alagna. Photo from personal archive of E. Pirshina. – Have you, Evgenia, had to participate in this kind of “multilayered” projects before? E.P. Yes, it happened during the opening of my photo exhibitions, where I was asked to sing. My photos are very much linked to music. it’s opera and ballet, so the combination is very organic. – Evgenia, what is the most significant achievement for you in the field of photography? E.P. 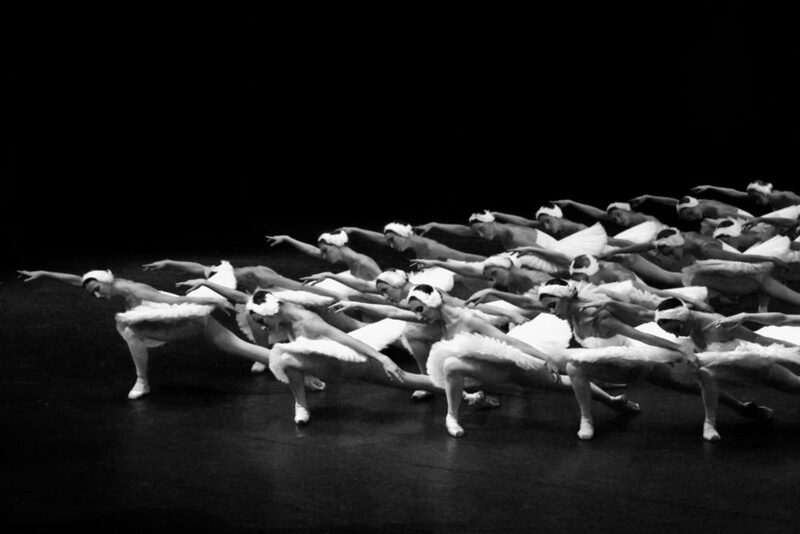 It was in Moscow in 2015, when the ballet troupe of my beloved Stanislavsky Theater gave jubilee performances of ballet “Swan Lake”. One of my photos became a symbol of our company; she was on the booklet, on the site “Golden Mask” and won several prizes at various competitions. Both your hypostasis, as you expressed it, are equally dear to you, and I very much hope that the projects you have conceived will soon come true. See you on October 5! Ольга Славнина – пианист, педагог, журналист. Работала внештатным корреспондентом на радио «Юность» и «Родина». Родилась в Ленинграде, где начала музыкальное образование в Ленинградской консерватории имени Римского – Корсакова, однако замужество привело ее в Москву. Закончила фортепианное отделение института имени Гнесиных. Организатор и Президент музыкально – литературного клуба «Вечера на Гудзоне».